Day trips from Hong Kong are a great chance to see more of the real China - it's just across the border. Shenzhen and Guangzhou are the most popular destinations thanks to their proximity, while Zhuhai is gaining an increasing number of fans. The easiest day trip from Hong Kong is a short hop across the water to Macau where you'll find a combination of Las Vegas casinos and Lisboa architecture less than an hour away. See our top five day trips below for a selection of the best trips just a few hours from Hong Kong. Or, if you want somewhere more off the beaten track, try some hidden China from Hong Kong trips where you'll find Ming era temples and mountain retreats. Hands down the best day trip from Hong Kong, Macau is just an hour away by ferry and offers a cracking combination of quaint Portuguese charm and the bright lights of its casino strip – this is after all the biggest gambling center on earth. With ferries running between the two cities twenty-four hours a day and few nationalities requiring a visa to visit Macau, it's an easy trip to make. Don't forget to dig into some Macanese cuisine while you're there - a winning mix of Portuguese spices and Cantonese cooking. Guangzhou is often overlooked when people are picking a Chinese city to visit, but while it may lack tea houses and temples this is very much the face of modern China. If you want to get a feel for where China’s incredible economic growth is going, you can find the answer in the sleek skyscrapers, fast cars and air-conditioned malls of Guangzhou. There is also the elegant architecture of Shaiman Island, where British, American and French companies traded from in the 19th century. The fine colonial trading outposts have been repurposed as restaurants, cafes, and bars. Shenzhen is where Hong Kong and China blend together, so much so that there are calls to merge the two cities into one mega-metropolis. Set just across the Chinese border, Shenzhen is less than an hour away on the Hong Kong MTR. The drawback? There is next to nothing to see and the real reason most people visit the city is to shop – almost everything here is cheaper than in Hong Kong. An added advantage is that some nationalities have access to the special Shenzhen Economic Zone visa, which cuts down on paperwork and prices. While Zhuhai might be a minnow of a city by Chinese standards, it still boasts well over a million residents and is typical of the concrete jungles that have sprung up all over Southern China in the last twenty years. If you want to get a picture of daily life in a fairly standard Chinese city, Zhuhai is a good snapshot. It's enjoyably less developed than both Shenzhen and Guangzhou and with a fantastic stretch of coastline and beautiful islands far more laid back. Zhuhai is a popular getaway for Hong Kongers, and restaurants and bars have sprung up along the beaches and boardwalks to cater for the tourists. Ferries from Hong Kong take just over one hour to reach the city. Really want to see China? Then you need to book yourself on a flight to Beijing. This is a long haul, and you’re ​best connections are leaving Hong Kong at 8:00 am. That gets you into Beijing just after 11 am. 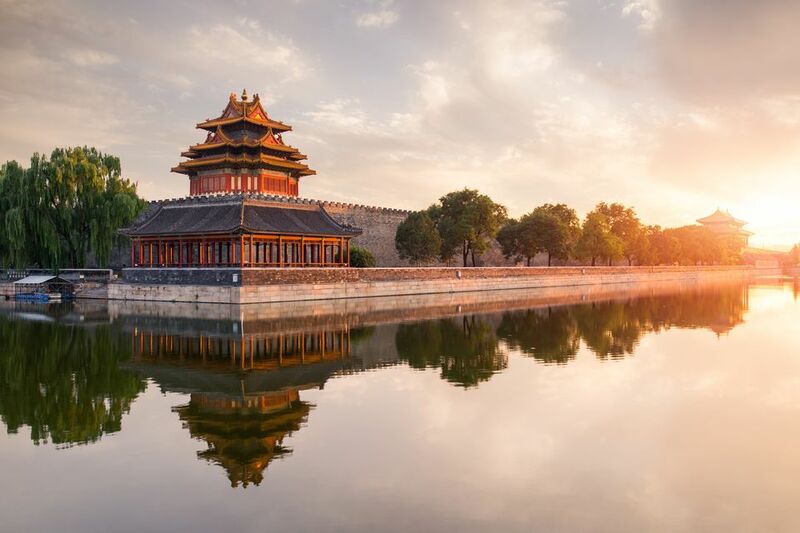 You'll have six hours to explore the Forbidden City, Ming Tombs and the rest of the nations most important national treasures before hopping back on the 21:00 departure from Beijing to Hong Kong.